Since my birthday falls on Thanksgiving this year I thought I would do a post on gratitude. I have had so many breakthroughs in the last year and none of them would’ve been possible without mentors, family, and friends. Rigoberto Gonzalez — Not only has Rigoberto been an amazing workshop instructor and thesis advisor, he’s been a great mentor and friend. I don’t just throw around the word “mentor” either. Rigoberto is one of the busiest writers I know and he finds the time to teach me about every aspect of the writer’s life. Jayne Anne Phillips — It would take an entire post to list everything Jayne Anne has done to support my development as an emerging writer, but I will simply say that she has changed my life as a writer. Carol Sweet-Jones — My mother has never asked me to explain or justify my commitment to poetry. She’s simply trusted & encouraged me to keep going. She flew up to New York just to see me read at KGB Bar. During the reading, I couldn’t even look at her for fear that I would get teary-eyed. Thank you so much, Mama. Who has helped you write your way into this world? I’ve decided to start posting a series of interviews with gay men of color about their relationship to writing, reading, and the American South. As you will soon see, everyone comes to the Word from a very unique place. I’m thrilled to have Darnell Moore – a good friend, scholar, and activist – to help me kick off this series. 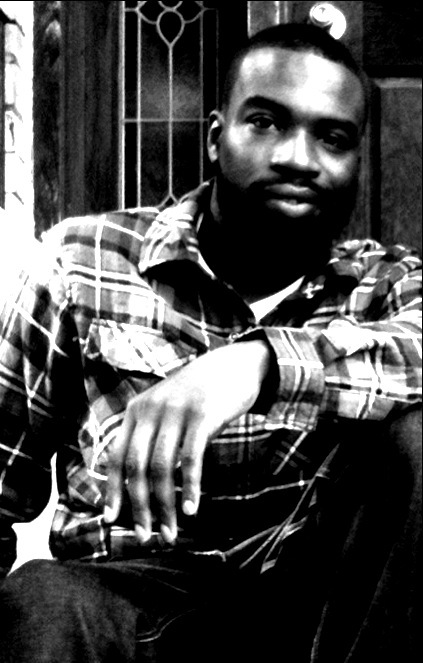 Darnell’s work has appeared in Theology & Sexuality, Black Theology: An International Journal, Momentum, Seeing the Other; Combahee Survival E-Zine, and Arts & Understanding (forthcoming). He presently serves as Associate Director of the Newark Schools Research Collaborative and Affiliate of the Institute on Education Law and Policy at Rutgers, Newark. In addition, Mayor Cory A. Booker recently appointed Darnell as Chair of the City of Newark’s LGBTQ Advisory Commission. He holds a MA in Counseling (Eastern University) and MA in Theological Studies (Princeton Theological Seminary). The “South” has always represented, for me, a sense of place: the geographical space where dirt carried the traces of my people’s past…home. Yet, I also think of the South as unhurried (regarding its acceptance of queer/LGBT folk) and unbothered (in terms of its conservatisms…laughs)! However, I am continually challenged to rethink my views of the American “South” (which, like the Global “South”) remains an epicenter of progressive change and opportunity. I am still reluctant to move to the South because of my love for Jersey and New York, but I am beginning to realize that those of us living “down” North have much to learn from our sisters and brothers “up” South. What was the last book you read that you would suggest to young gay men of color? I am currently reading In the Life: A Gay Black Anthology edited by Joseph Beam. It is a collection of inspiring writings by several well-known (and not-so-well known writers/activists/poets) that was initially published in 1986. Happily, In the Life was re-released by RedBone Press in 2008. I would encourage all young gay/bi/queer/SGL men of color to purchase and “consume” In the Life: it will encourage and strengthen young brothers. Indeed, I think that many young people will find that their struggles through have been shared by writers like Essex Hemphill, Samuel R. Delany, Melvin Dixon, James Timmey and Oye Apeji Ajanuku among others, whose essays and/or poems appear in the collection. For me, In the Life reminds me that I am part of a wider community… a lineage of warriors…and that I am not alone in the struggle for justice or my walk towards full self and communal love. The joy in this part of the process is seeing my own constellation of images, voices, and themes come into focus. A few months ago, I thought my manuscript was going to be all about fire & heat. Now, it’s actually dominated by water, twilight, and earth-toned colors. The transformation has been organic and unpredictable. At 40 pages and counting, there are still many poems to be written and A LOT of revisions that need to be made, but I’ve turned the first of many startling corners. I read contemporary poetry to develop a certain competence. When I meet with other literary-minded friends I want to have something to talk about. When I make a suggestion in workshop, it’s helpful if I can mention a poet who exemplifies that suggestion. Also, I read for more specific reasons: How do people come up with titles for their poems? How are the titles structured and used? Lately, I’ve been playing with white space so it’s helpful to see how poets like D.A. Powell, for example, arranges his words on the page. After the jump are some books I’ve been reading lately. I’ll also give a short explanation as to what I’ve been learning or trying to learn from each of them. Often I write poetry out of a desperate need for beauty in an otherwise beige life. Sometimes I write to make sense of memory, unreliable as it may be. Lately though, I’ve been writing out of & in rage. I’ve been writing because, like Nina Simone, I know nothing about killing. I do know about poetry. And if I don’t find a way to translate my rage – not anger, not irritation, RAGE – into art, I don’t know what I will do with myself. Freud would call this practice sublimation, the act of channeling suppressed, uncontrollable emotions into a more manageable form. 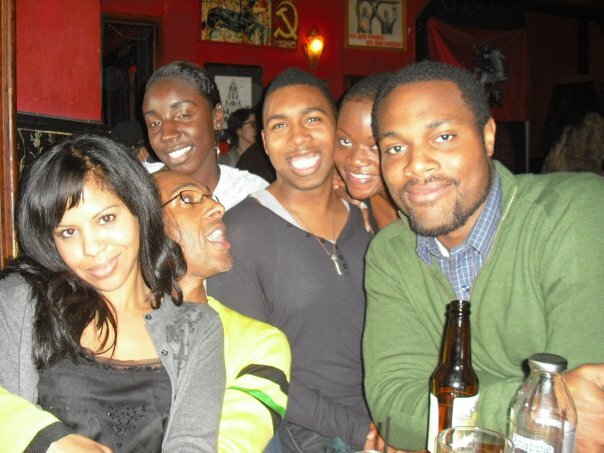 I call it being young, black, and gay in America. Because of Ruben Diaz, Sr. In her book Killing Rage, bell hooks writes “With no outlet, my rage turned to overwhelming grief and I began to weep, covering my face with my hands. All around me everyone acted as though they could not see me, as though I were invisible..” The cost of choking down our rage is too great. I know I’m not the only one who’s angry. Everyday I talk to young gay brothers & sisters who are at their wits end. They’ve come out of the closet only to be kicked out of their homes and abandoned by their families. One young man explained that he is practically dead to his family. He’s been asked not to call or approach them. Not one, but two people I know have been forced to endure exorcisms by their families. A teenager from Texas (the state where I grew up) was told not to come back unless he agreed to go into treatment to have his “gayness” cured. In Newark, the LGBT community still mourns the murder of Sakia Gunn on her way home from school. I’m well aware that we’ve made progress towards changing the way our nation thinks about sexuality, race, and class, but there’s still so far to go. And for young people, it’s difficult to figure out what to do “in the meantime.” I propose that we, as a community, return to art as an act of resistance, as a way finding a unified voice for our rage. Go to poetry slams and spit it. Take the stage at the open mic and let the words come, raw and burning. Write a sestina with end words like mother, father, hate, love, me, and you. Write your way into this world again and again.